Asset Classes & Income Tax Implications - Stocks, MFs, Gold, Property..
You are here: Home / Tax Planning / Different Asset classes have different Tax implications – How Returns are taxed? Stocks, Mutual Funds, Fixed Deposits, Bonds, Real estate, Gold etc., are various Asset Classes that are popular among the investor community. It’s very important for investors to have a proper asset allocation to achieve financial goals. Different asset classes have different tax implications. 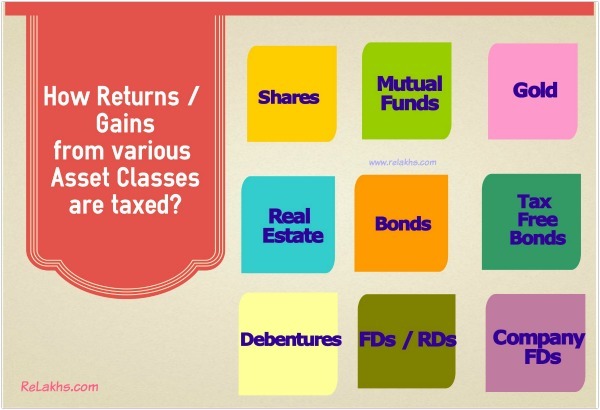 The returns (or) gains generated by these various asset classes are taxed differently. For example- the interest income from Bank Fixed deposits is a taxable income, the dividend income from Stocks is tax-free, and the capital gains from sale of your property can be a taxable income and so on..
As an investor you should be aware of these tax implications so that you can create a tax-efficient investment portfolio. (However, your investment decisions should not be based only on tax-saving criteria). 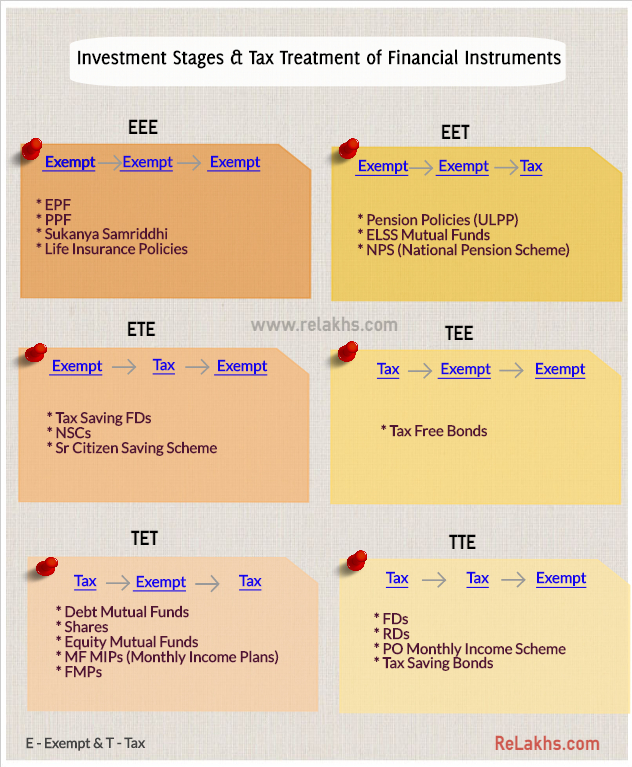 In this post, let us understand the tax implications on various asset classes, how are the returns / gains from various asset classes like Stocks, Mutual Funds, Real Estate, Bonds, Gold etc., taxed? If you hold your stock investments for more than 12 months, the gains are treated as Long Term Capital Gains and are completely tax-exempted. The LTCG on sale of Shares is taxable at 10% from FY 218-19. As per Budget 2017-18, Exemption of Long Term Capital Gains Tax u/s. 10 (38) available only if acquisition of share is subject to STT (except cases like IPO, bonus issue, rights issue etc.,). STT (Securities Transaction Tax) at the rate of 0.1% is charged on sale of Shares. But, with effective from Financial Year 2016-17, 10% Dividend Distribution Tax (DDT) is levied in the hands of the investor / HUF / Partnership firm who receives dividend of Rs 10 Lakh or more in a financial year. This has now been extended to Private Trusts / Family trusts (Budget 2017-18). If you make a gain / profit on your investment in a Equity Mutual Fund scheme that you have held for over 1 year, it will be classified as Long Term Capital Gain. If your holding in an Equity mutual fund scheme is less than 1 year i.e. if you withdraw your mutual fund units before 1 year, after making a profit, then the profit will be considered as Short Term Capital Gain. The STCG (Short Term Capital Gains) tax rate on equity funds is 15%. If you make a gain / profit on your investment in a Non-Equity Mutual Fund scheme that you have held for over 3 years, it will be classified as Long Term Capital Gain. If you make a gain / profit on your Debt fund (or other than equity oriented schemes) that you have held for less than 36 months (3 years), it will be treated as Short Term Capital Gain. The STCG tax rate on Non-Equity funds (or) Debt funds is as per the investor’s income tax slab rate. The LTCG tax rate on non-equity funds is 20% (with Indexation benefit). The dividend income received by a debt fund unit holder is also tax free. But, the mutual fund company has to pay a dividend distribution tax (DDT) before distributing this dividend income to its Unit-holders. DDT on Debt Mutual Funds is 29.12%. A company or Mutual Fund AMC has to report the receipt of Rs 10 lakh or more from a person/an investor in a financial year for acquiring bonds, debentures, shares or mutual funds to the Income Tax department,. Gold ETFs or Gold Funds are treated as Non-Equity funds only . The interest payments on Gold Bonds shall be taxable as per your income tax slab rates. Gold bonds are exempted from capital gains (LTCG) tax at the time of redemption. If Land or house property is held for 36 months or less then that, such Asset is treated as Short Term Capital Asset. Short Term Capital Gains are included in your taxable income and taxed at applicable income tax slab rates. If Land or house property is held for more than 36 months then that Asset is treated as Long Term Capital Asset. Long Term Capital Gains on sale of property are taxed at 20% (with indexation). If you receive any rental income from the property then it has to be included in your income and taxed at income tax slab rate. If you are claiming HRA (House Rent Allowance) of more than Rs 50,000 per month (or) paying rent which is more than Rs 50,000 then the tenant has to deduct TDS @ 5%. It has been proposed that the tax could be deducted at the time of credit of rent for the last month of the tax year or last month of tenancy, as applicable (Budget 2017-18). The buyer of the property needs to pay TDS @ 1%, on sale of property which is valued at Rs 50 Lakh or more. The Registrar of properties will have to report purchase & sale of all immovable properties exceeding Rs 30 Lakh to the Income Tax authorities. The monetary limit for quoting PAN for sale or purchase of immovable property has been raised to Rs.10 lakh from Rs.5 lakh. Properties valued by Stamp Valuation authority at amount exceeding Rs.10 lakh also need PAN. Interest received on TFBs is tax-free. TDS is not applicable. Short-term capital gains from sale of tax-free bonds on exchanges are taxed at your income tax slab rate. Long-term capital gains are taxed at 10% without indexation. The indexation benefit is not available for Bonds. For STCG holding period is less than 12 months. For LTCG holding period should be more than 12 months. TDS is not applicable on interest earned upto Rs 5,000 pa.
You have to club the interest earned on these deposits as ‘income from other sources’ and file your annual Income Tax Returns. The interest income earned on Fixed deposits/RDs is taxable. If your interest income on a Fixed Deposit is more than Rs 10,000 then you need to show the entire interest income when you are filling your Tax returns. If you fail to furnish the PAN number, your bank shall deduct tax at the rate of 20% instead of 10% generally applicable. Life Insurance – It is prudent to separate investment from insurance. Ideally, insurance is not suitable for wealth creation. However, some investment options like ULIPs can be treated as a separate class (personally I prefer MFs to ULIPs). The other traditional plans like endowment, money-back and whole-life insurance plans can be avoided. If you are young and planning for retirement, you can avoid buying Pension plans too. The maturity proceeds from ULIP policy are tax-free. Insurance policy proceeds received by the family members in the event of death of the policy holder is completely tax exempt under section 10 of the income tax act. If you surrender the policy before maturity, the taxability would depend on whether you have paid 5 premiums on the policy or not. If you have paid so, taxability would be nil. Else, the surrender value will be added to your total income for the year and taxed accordingly. Asset Allocation is a very important investment strategy. You should invest in suitable financial products or Asset Classes based on your financial goals. If an investment option meets your requirements and is also a tax efficient one then it is well and good. Your investment strategy is to max out your after-tax returns. Suppose a person comes under 5% Tax Slab. His income is around 5lpa. Now if he sells his immovable property within 2 years , he will be liable for STCG. The property was purchased at a price of 10 lac and he sold it at 14 lac making a STCG of 4 lac. He will pay 5% on STCG of 4 lac and will pay his income tax as usually he pay i.e at 5% . The first scenario is correct (20%). I had a STCL of Rs. 5000/- during the financial 2015-16 and it has been c/f to FY 2016-17. Now I have a capital gain of Rs.3000/- during the current FY 2016-17. Since my income after taking into account the STCG of Rs.3000/- is below the taxable income (after considering the rebate under sec 80C, 80D etc., should I compulsarily adjust the STCG against the c/f STCL in this year or can I adjust the total loss of Rs.5000/- against my future year gains. Can you please clarify? I want to invest around 12 to 14L in MF. Felling insecure to invest in MF because of risk factor. I am looking for a low risk funds, at least get an interest above 10% after 5 years. 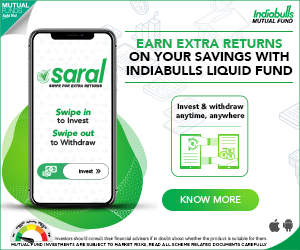 Please can you suggest best MF funds , so that I can invest my money. I have long terms target after 5 years or so. Please suggest three or four funds, I want to invest as a lump sum. To get returns of around 10%, one may have to necessarily take risk. As there are no interest payments in zero coupon bonds, these bonds are taxed under the head income from capital gains. Long term capital gains attract indexation benefits, i.e, the tax rate is 20% with indexation and 10% without indexation. In case of short term capital gains it will be included in the investor’s total income and tax rate will be as per the tax slab in which the investor falls. My fixed deposit of 4 Lacs got matured. If I transfer this amount to my savings acct in another bank thru RTGS, Is this amount is taxable ? If so, how can I avoid getting taxed ? please advise. Kindly note that the interest income earned on Fixed deposit is taxable and the interest income earned on Saving account is taxable (if interest income on saving bank accounts is less than Rs 10,000 then it is tax exempt). Read: FDs/RDs & tax implications. I am doing SIP in few debt funds from last 1 year. How much tax (%) will get deducted if i redeemed my SIP’s now. As I am in 10% tax bracket it is not a good idea to withdraw before 3 years as LTCG tax is 20% with indexation is more than 10 % ? The tax rate is as per your income tax slab rate. Suggest you to go through detailed article on – MF Taxation rules. In case if you need more info, you my revert to me. Thanks Sreekant for your comment. I read MF Taxation rules article but I am still not sure what would be approx estimated tax I need to bare. Lets simplify with an example. 1. Mr. A decided to withdraw that money in Nov2016 so those 10 k will become 11047 with 10 % retun for 1 year. So STCG is 1047 which will be taxed with 10 % . So approx 104.7 Rs. Now LTCG is 3482 which will be taxed as 20% with indexation benefit. How much tax will get deducted for Mr. A in this case ? For your valuable feedback now I understood MF jargon “Indexation Benefit”. Keep visiting and do share the articles with your friends! I must agree that you have explained everything in detail, this is what I was looking for when I have started to search for assets & income tax implications. I think, this is very useful information, which can help a person who wishes to learn about asset and income tax implications. If any business person wants to make huge in the industry ten he should be aware of the numbers so that he can calculate and come up with a strategy. Thank you dear Rajkumar ..Keep visiting! Hi Sreekanth, When I am purchasing shares, I observed stamp duty also being charged. So can I get this benefit under Sec 80C. Kindly note that the cost of acquisition of shares would include expenses incurred on purchase of shares like service tax, stamp duty, brokerage, etc., except STT. Similarly, consideration received on sale of shares should be after deduction of service tax, stamp duty, brokerage, etc., except STT. So, one can claim it when calculating capital gains and not as tax deduction u/s 80c. Such exhaustive information under one article is really nice to see. Keep up the good work.. Thank you dear ASN. Keep visiting! 1. While registering a property we pay stamp duty+registration fees. Later we pay mutation fees. I know stamp duty paid is tax exempted under 80c. Are registration fees + mutation fees paid also exempted from tax ? 2. I’ve purchased my first flat costing below 20 lakh by home loan, and don’t have any other property in my/spouse’s name. So I’m eligible for 50000 additional tax benefits under 80EE. Is this one time benefit or I can claim it every coming financial year? 3. Now if I book an under-construction flat / buy another ready flat in current financial year, will I be disqualified for the above benefits under 80EE? If I buy it in next FY? 1 – Along with the Stamp duty charges, one can claim the Registration fee too under section 80c. Mutation charges – I dont think one can claim them. First time Home Buyers can claim an additional Tax deduction of up to Rs 50,000 on home loan interest payments u/s 80EE. The below criteria has to be met for claiming tax deduction under section 80EE. The home loan should have been sanctioned in FY 2016-17. I believe that one can claim tax deduction under this section as long as you have outstanding loan amount. 3 – Good question. I believe you can keep claiming the tax deduction. Nice post, Sreekanth!!! Quite exhaustive. Just wanted to add a point about taxation of insurance plans (with investment benefits) i.e. ULIPs and traditional plans. In case where Sum Assured is more than 10 times annual premium (policies issued on or after April 1, 2012), the maturity proceeds are not exempt from tax. Term plans won’t be affected. However, traditional plans and ULIPs may face problems, especially single premium plans. 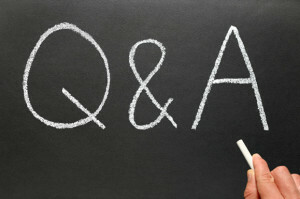 Thanks for leaving your inputs. I have visited your Blog and read some of your articles, they are very useful and unbiased. Great job! All the best! I am regular visitor of your blog and have learnt a number of things from your blog posts. Are term insurance (online and offline) premiums are taxed? Because sum assured is much more than annual premium paid. Are you referring to tax benefits?? Service tax is levied on the Premiums. Kindly note that there wont be any maturity proceeds on Basic Term insurance plans. Surrender/Maturity proceeds of ULIPs whose Premium in any year is more than 10% of Sum Assured (this is 20% for Policies bought between Apr 2003 to Mar 2012) are taxable and do not come under EEE category. Generally Single Premium Policies come under this category. Thanks for sharing this point. Kindly note that I have intentionally tried to keep the taxation part of Life insurance policies simple.